As the callsign suggests, WHYN (560 Springfield) used to be licensed to Holyoke. That was a long time ago, but then, this facility was built a long time ago. 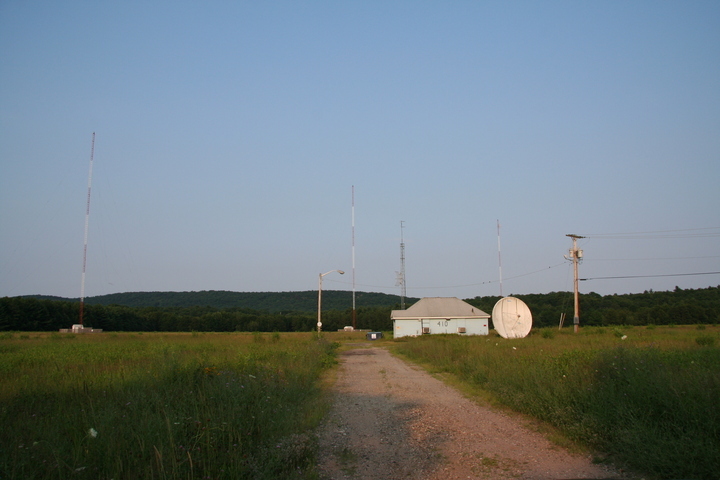 The three-tower array, at 410 County Road S., about five miles west of downtown Holyoke, has a single broad lobe to the southwest, covering Chicopee, Springfield, and Westfield with its 5 kW-D, 1 kW-N, DA-2 service. All three towers are top-loaded.